Venture Bros. Returned! Last Night. 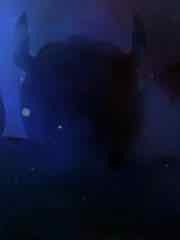 He's big! The Hasbro Transformers Generations Combiner Wars Protectobot Rook is the one that's not like the others, given a bunch of rescue vehicles and a SWAT tank are somewhat different in their function. So read on, and come back tomorrow for more! Ad: New Hasbro Captain America Marvel Legends action figures and Civil War movie toys are up for grabs - pre-order (or order) yours at Entertainment Earth, or just peruse the listings to see some of the new stuff. It's huge! 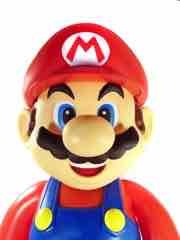 The Jakks Pacific World of Nintendo Jakks Giants Mario Action Figure is a lot like those statues you saw in malls in the 1990s, only it isn't awful and it's a lot cheaper. So read on, and come back tomorrow for more! 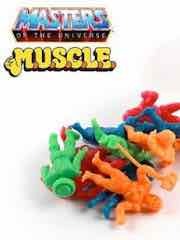 Via He-Man.org: He-Man pics from the Classics 2.0 line!. 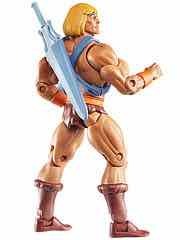 Not only does He-Man have a cartoon head and sword, but he's got rocker ankles, too. 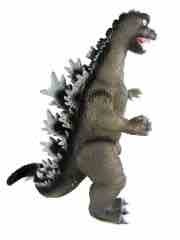 This figure is set for release on February 16, so be sure to make note if you want one. 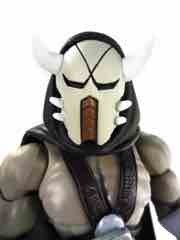 Odds are this is the only figure (other than maybe Skeletor) a lot of fans are going to buy this year. Clear, sparkly! The BanDai Godzilla Fusion Series 1968 Godzilla Action Figure was hard-ish to find a few years ago, and I stumbled on him at a thrift store so I'm happy. So read on, and come back tomorrow for more! Ad: New Super Mario and Zelda housewares are up for grabs - pre-order yours at Entertainment Earth, or just peruse the listings to see some of the new stuff. New from Paladone Products, find Mugs, Lights, Pens, Tools,, and a bunch of other items coming between now and June. Check out that sweet Triforce lamp - and everything else! 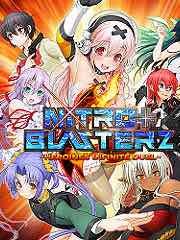 New to the Playstation 4 this week: Albedo: Eyes From Outer Space, AIPD, Megadimension Neptunia VII, Gravity Rush Remastered, Nitroplus Blasterz: Heroines Infinite Duel, Crypt Of The Necrodancer, and Amazing Discoveries In Outer Space. 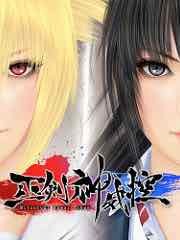 New to the Playstation 3 this week: Nitroplus Blasterz: Heroines Infinite Duel. 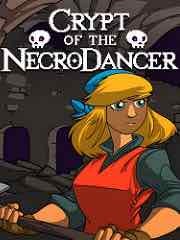 New to the PSP Vita this week: Crypt Of The Necrodancer, Royal Defense, and Letter Quest Remastered. 1990s chic! The Hasbro Transformers Generations Combiner Wars Superion has six figures and only costs two or three figures. So read on, and come back tomorrow for more! 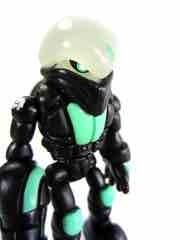 Via the Glyos News Dump: Banimon Pseudo Custom Corps on Friday with production clear colorless figures, too. I haven't had much of a sneak peek of these, but I'm told some new specially cast parts are in the mix for the customs and the paint jobs are the kind of nifty stuff you've come to expect. Be sure to check it out on Friday at 9:00 PM Eastern. Via LEGO: Free Robin's Mini Fortrex with the purchase of $50 or more at LEGO.com. 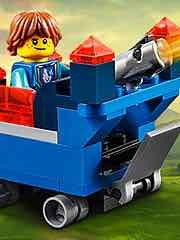 While normally we don't post a lot of LEGO promotional news here, my pal Seth put it best: "A lego dude driving a toy castle." Awesome. Check it out, you may also find the Nexo Knights line in a store near you. 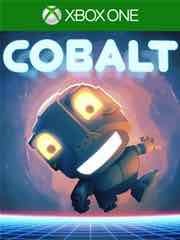 "Shoot, roll, punch, and jump your way to slowmotion victory in Cobalt, an action platformer from Oxeye Game Studio. Take on the role of a mysterious cyborg stranded on an even more mysterious planet in our single player campaign, or play with friends in a wealth of coop and versus multiplayer modes. It�s an incredible amount of fun." Also coming soon: Q*bert REBOOTED: The XBOX One @!#?@! Edition. Buckets of fun! 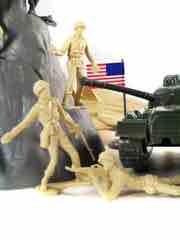 The Tim Mee Toys Tan vs. Green Soldiers Bucket Figure Set has a mountain, army men, tanks, planes, and flags. So read on, and come back tomorrow for more! 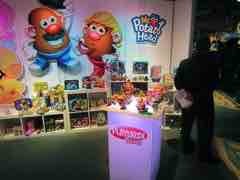 Via many: Hasbro, Mattel Said to Have Held Talks About Possible Merger. This isn't the first time either - Mattel made a play for the Rhode Island toy giant in the 1990s. This time, Hasbro approached Mattel, who themselves just gobbled up Mega Brands (Mega Bloks) and Hit Entertainment (Thomas the Tank Engine) in recent years. 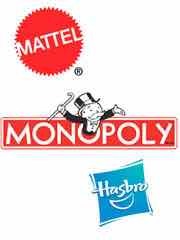 Both Hasbro's and Mattel's stocks went up on this rumor, which as of my writing this remains a rumor. Ad: New Funko Exclusives including Nightmare Before Christmas Glow in the Dark Oogie Boogie Dorbz are up for grabs - and soon! Other new items are up as well. 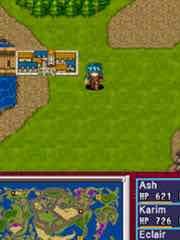 This week's 3DS offerings: Alphadia. This week's batch of titles on the eShop: FreezeME, Sh�tshimi, and PEG SOLITAIRE. 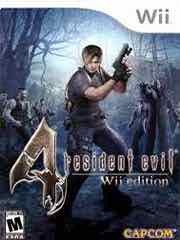 Up for the Nintendo Wii U retro library: Resident Evil 4: Wii Edition from the Wii for $19.99. He's ready for the Oscars! The Hasbro Transformers Generations Combiner Wars Battle Core Optimus Prime is outfitted with a new head sculpt and unusual-for-Optimus Prime white deco. So read on, and come back tomorrow for more! 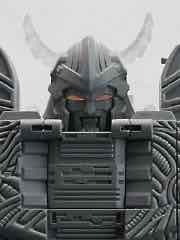 Via TFW2005: Garatron 3rd Party Unicron Revealed! Normally I don't like to cover third-party stuff, but this one is certainly odd in that it's basically an unofficial release of an official design from the Internet age. There have been numerous knock-offs and original designs based on Hasbro concepts, but this may be the first time one of these toy firms opted to make a toy based on an unproduced concept from the Beast era. 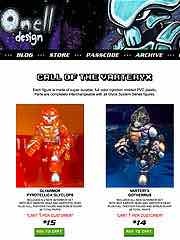 This was sort of the stuff of legends, with much gnashing of teeth back in the late 1990s when it looked like we might never actually get a toy Unicron in our collections. Now that we've had several, this is more of a novelty than anything else - but if you've always wanted one, it looks pretty close to some of those original models. You might want one, especially as it forms a (more or less) sphere rather than a half-planet blob of some sort. The firing rockets are gone, and lights were added, but the similarities are striking. 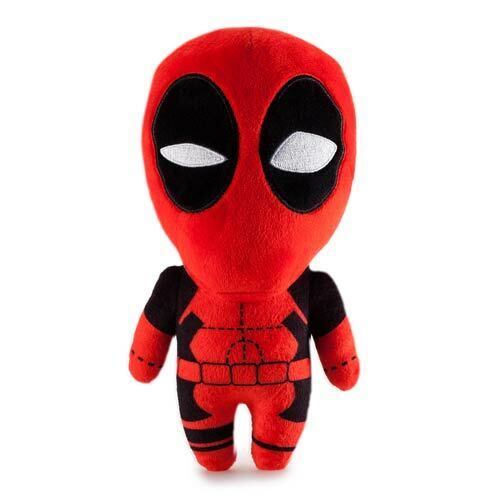 Ad: New Back to the Future, Knight Rider, Batman, Deadpool, and more are up for grabs - pre-order (or order) yours at Entertainment Earth, or just peruse the listings to see some of the new stuff. It's Bob! The Funko Pop! 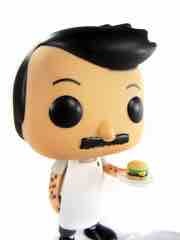 Animation Bob's Burgers Bob Belcher Vinyl Figure looks a lot like the Big Boy mascot all grown up. So read on, and come back tomorrow for more! 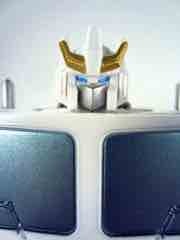 Via TFormers.com: Collectors Club Transformers Figure Subscription Service 5 Preview First Look. Not content to wait until the club license expires, the Paradron Medic and a double-pretender Optimus Prime (out of Oilmaster) are on deck. Wow! Dagnabbit, these look fun - but as you know, they're competing for your dollars with other, equally neat, and significantly cheaper sets from Hasbro. 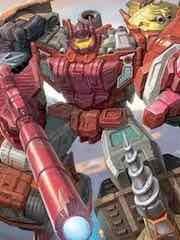 For example: Combiner Wars Computron Partial Box Art Now In Color! 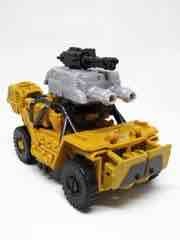 You can see Afterburner, part of a redecorated Scattershot, and Lightspeed. The set is as of yet unconfirmed, but it stands to reason if G2 Superion, G2 Menasor, G2 Bruticus, and Victorion do well we could see more - granted, we're probably also approaching the logical conclusion of the group sets we can do without more new molds, but the sky is the limit if they want to squeeze out more redecorated figures like G2 flavors of Alpha Bravo or a US release of Groove. As it stands right now, we have reason to expect at least 5 more US combiner teams (or sets) before the end of the year - possibly more, as nobody is talking G2 Defensor yet. If you aren't already saving some cash for what may be a solid $1,000 year just for US Hasbro Transformers toys - not including convention or subscription items - you might be in for a financial sucker punch by the time Fall comes around. Via Nerdist: Official VOLTRON: LEGENDARY DEFENDER Logo Revealed (Exclusive). Well, there ya go. You might remember a show called Voltron Force from 2011, but probably not - the show fizzled and Mattel's announcement of the toy license went nowhere. The show should be on Netflix, so you can hope the toy line was already sold but I sure as heck haven't seen anything for it yet in my travels. Enter: the Dino-bird! The Hasbro Transformers Generations Combiner Wars Sky Lynx is more or less a miracle in that it exists and you can buy one. So read on, and come back tomorrow for more! 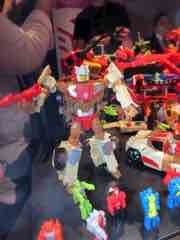 Via the Glyos News Dump: Nazgar the Robo-Force Figure. It - and some other new guys - already sold through! Ah well, you missed it. Ad: New KISS Peg Palls - wooden collectible figures from Bif Bang Pow! are up for grabs - pre-order yours at Entertainment Earth, or just peruse the listings to see some of the new stuff. Each 2-inch figure from the legendary rock band should be out around July for $4.99 per. Are more licenses coming? It's possible! Stay tuned for Toy Fair news from Bif Bang Pow! 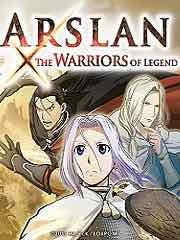 New to the Playstation 4 this week: Arslan: The Warriors Of Legend, Assassin�s Creed Chronicles: Russia, Dying Light: The Following � Enhanced Edition, Firewatch, Unravel, Siralim, Rugby Challenge 3, Naruto Shippuden: Ultimate Ninja Storm 4, Level 22, Lovers In A Dangerous Spacetime, and Mop: Operation Cleanup. New to the Playstation 3 this week: Level 22 and Arslan: The Warriors Of Legend. 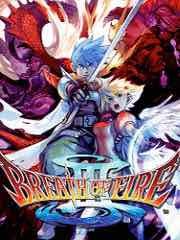 New to the PSP Vita this week: Breath Of Fire III, Level 22, We Are Doomed, and Siralim. Back, again, also in black! The Onell Design Glyos Hades Pheyden MK IV Action Figure has a lot of green and a gun mode. So read on, and come back tomorrow for more! 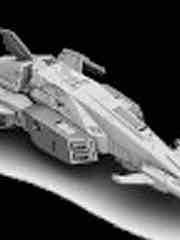 Titans Return Brainstorm from Blurr Actually Happening? Via Weibo: Seemingly legit Brainstorm vehicle mode made from remold of previously seen Titans Return Blurr image which may mean a whole list of rumored toys is legit. 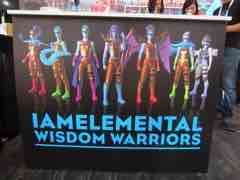 I was more than a little surprised to see this, but considering the clip at which Hasbro is rereleasing characters as new toys it's more and more plausible. Numerous other toys for this line have been officially announced and seemingly leaked, including: Alpha Trion, Blurr, Skullcruncher Skullsmasher, Hardhead, Mindwipe, Fortress Maximus, Soundwave, Blaster, Powermaster Optimus Prime, Astrotrain, Sentinel Prime, Scourge, and Galvatron. And it wouldn't stun me at all if we had another reveal before you even read this, or if there was a hoax in there, or some such. "You're in deep space and something's collided with the ship. Main power is offline and you're trapped. It's lucky you have access to this terminal. It's a little old but with these two robots and some clever thinking you might be able to get power back online and save the day. 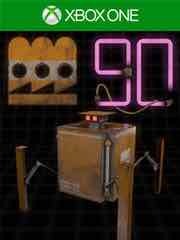 Control two walker robots and puzzle your way through 30 levels to restore power, reactivate the life support and solve the mystery of the collision." Also new: Assassin's Creed Chronicles - Trilogy, NARUTO SHIPPUDEN: Ultimate Ninja STORM 4, Arslan: The Warriors Of Legend (With Bonus), Dying Light: The Following - Enhanced Edition, and Unravel. Glittery and bluish! 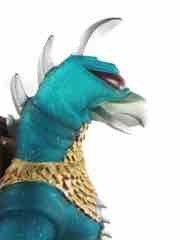 The BanDai Godzilla Fusion Series Gigan Action Figure is pretty and gorgeous - and expensive unless you fall into one. So read on, and come back tomorrow for more! Via TFormers via Weibo: Combiner Wars Computron Full Artwork Leaked And What Is On Its Shoulder? This is the first real look at the set, which reveals a few of the changes to the team - but not everything. Maybe we'll know more tomorrow! This week's 3DS offerings: Word Puzzles by POWGI. 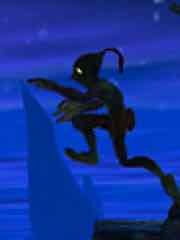 This week's batch of titles on the eShop: Oddworld: New 'n' Tasty!, Cutie Pets Go Fishing, Outside the Realm, Word Puzzles by POWGI, and Cutie Clash. Up for the Nintendo Wii U retro library: Kuru Kuru Kururin, Big Brain Academy, and Polarium Advance from the GameBoy Advance, each for $6.99. You guessed it - it's Frank Stallone! 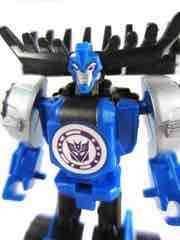 The Hasbro Transformers Robots in Disguise Legion Class Thunderhoof is outfitted with a new head sculpt and unusual-for-Optimus Prime white deco. So read on, and come back tomorrow for more! 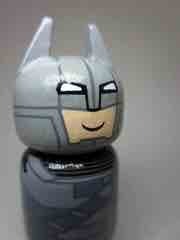 Via my Tumblr: Peg Pals Batman from Bif Bang Pow! 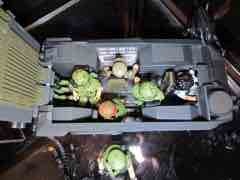 - this is a Toy Fair exclusive! If this looks somewhat familiar, it should - the little wooden figures are a new line including Marvel, DC, Star Trek, Kiss, and more - which will be announced as agreements and product development permit. 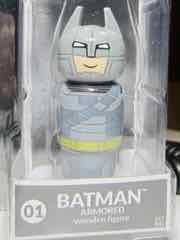 The Batman was an at-show exclusive freebie which is apparently now most flippable on eBay. I'm basically shooting a bunch of stuff and may post most of it, we'll see how time works out. Hasbro really knocked my socks off, Star Wars was a little thin in its public showing but it's a safe bet this will be a year that you will enjoy, eventually, probably. Other brands are expanding to fun and crazy places, so people who love toys and don't take their plastic too seriously are going to get a lot of yahoo for their yen this year. I'm exhausted, so I'm still editing galleries - Transformers Generations was one I had to share because Titans Return looks fabulous. Thanks to leaks galore it feels like this is more a show about what we didn't see, but we did see the first packaged samples. 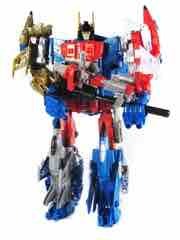 And Fortress Maximus. And a Valentine's Day side in the presentation focused on the already-announced Eject's Conjunx Endura, Chromedome. If that isn't an example of just how far we've come as a culture (not for the least of which is a male war robot toy being pitched on the concept of love) I don't know what is. This line really does feel like an artifact from the future, so check it out. I'm all-in, baby. Also check out this art which may be confirmation of a rumor of an SDCC exclusive set which, if true, is dang compelling stuff. Do want, thank you. I was pretty pleased with Jurassic World last year, and Dino Hybrid gives us more of what we want. 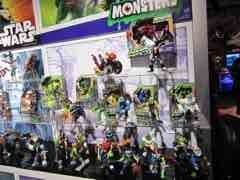 Assuming, of course, you're like me and want more Chaos Effect-style toys with mutant creatures and neon colors. Even more surprising is a 3 3/4-inch Chris Pratt figure and his motorbike. The Hybrid Indominus Rex feels like a whacko best-of-show just because it's jut so unlikely and the head looks a lot like a skull. If the final looks like cool, I'll take one. (I'll take one anyway.) You'll probably read reviews of the entire line as I can find them. It's He-Man's great great great grandma-ma! 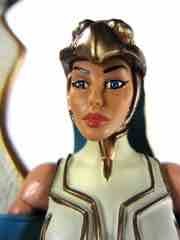 The Mattel Masters of the Universe Classics Queen Grayskull is also known as Veena, but not the green Orion one. So read on, and come back tomorrow for more! 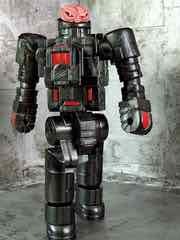 Check it out: Transformers Robots in Disguse! 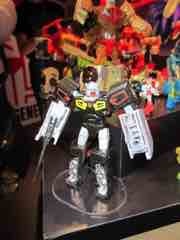 One exclusive was shown, as were new Mini-Cons, armor packs, warriors, one-steps, and so on. There's a decent amount of stuff coming. The core cast returns yet again, with the likes of Bisk and Windblade getting some substantial-ish toys. A Mini-Con sword and a triceratops that turns into a gun may be the best things as far as newness goes, I'll be getting both thank you. World 4! Or the 3DS. 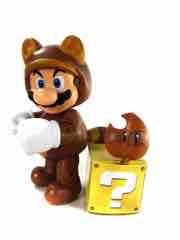 The Jakks Pacific World of Nintendo Tanooki Mario Action Figure is not the easiest thing to find, but oh, is it nice. So read on, and come back tomorrow for more! Via the Keshi Drop blog: Super7 Reveal MOTUSCLE Multi-Colored Trash Can Pack! . Packaged in garbage cans, these come in multiple colors and sport the new and different branding. The lid features Skeletor's face and I was lucky enough to see these in person - they're pretty fantastic! There are more surprises to come in each canister, but I can't talk about those yet as far as I know, so stay tuned. 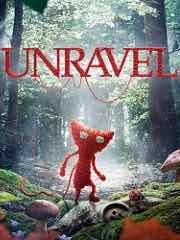 New to the Playstation 4 this week: Layers Of Fear, Mitsurugi Kamui Hikae, Pixel Piracy, Rainbow Moon, Randal�s Monday, Street Fighter V, The Escapists: The Walking Dead, and Tron Run/r. 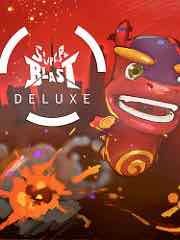 New to the PSP Vita this week: Super Blast Deluxe. Clearly the elephantest! The Takara-Tomy Beast Saga Eledram Burst Action Figure came out a few years ago in one of the most anticipated lines of the 16bit.com offices, only to snuff itself out in about a year. So read on, and come back tomorrow for more! Check it out: Spinjas! This is a retro property brought back, sort of, differently. The obligatory app integration has been included. The creature angle of the original has been played up, which is great. How interested buyers were, I don't know - but the art from this brand was on the freebie tote bags at the show, which, in hindsight, I should have snagged. 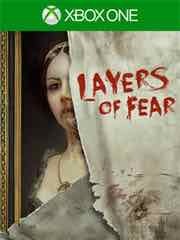 "Layers of Fear is a first-person psychedelic horror game with a heavy focus on story and exploration. Delve deep into the mind of an insane painter and discover the secret of his madness, as you walk through a vast and constantly changing Victorian-era mansion. Uncover the visions, fears and horrors that entwine the painter and finish the masterpiece he has strived so long to create." 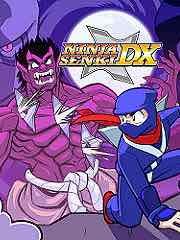 Also available: Pixel Piracy, Mitsurugi Kamui Hikae, Rocket League, and Lords of the Fallen Digital Complete Edition. Shiny! 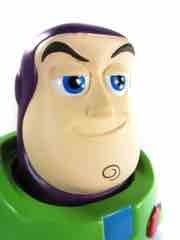 The Funko Hikari Vinyl Toy Story Original Buzz Lightyear is reflective and metallic. So read on, and come back tomorrow for more! 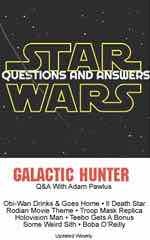 Check it out: Dark Horse Comics! Check out Game of Thrones, Witcher, and Halo items. Items from Zelda, Peanuts, and others were shown (and discussed), but this is what I could get while looking around. 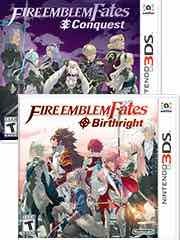 This week's 3DS offerings: Fire Emblem Fates: Birthright, Fire Emblem Fates: Conquest, Musicverse: Electronic Keyboard, and Project X Zone 2. This week's batch of titles on the eShop: Tap Tap Arcade. Up for the Nintendo Wii U retro library: Double Dragon III: The Sacred Stones, Ninja Gaiden II: The Dark Sword of Chaos, and Ninja Gaiden III: The Ancient Ship of Doom from the NES, each for $4.99. New wheels! 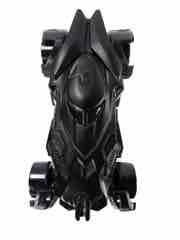 The Mattel Hot Wheels Dawn of Justice Batmobile is a buck if you can find one. So read on, and come back tomorrow for more! 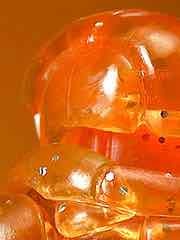 Via the Glyos News Dump: Onell Design Drop - Tuesday, 9:30 PM, Orange and Glitter and set your calendar. I don't have the finer details as to what's up just yet, but it's looking sharp! Lots of silver. Lots of sparkle. 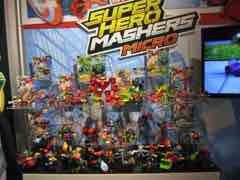 Today: the heartbreak of the show was Hasbro Hero Mashers Monsters as well as extensions to Star Wars and Marvel. Marvel added micro segments with swappable parts that are fully compatible with the standard size figures. Monsters is, unfortunately, not going to see US distribution - but man, is it cool. I asked - and re-asked - and I am sad to confirm that this line is not going to be sold in the USA. Set your eBay alerts and pray for closeout shops, kids. 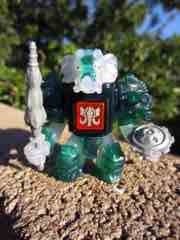 Glyos Drop Tonight - Glyclops! Orange you glad you saw this one? 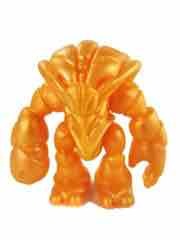 The Onell Design Glyos December 2015 Stowaway Crayboth Action Figure was the freebie a couple of months ago, and another drop tonight may yield yet another freebie. So read on, and come back tomorrow for more! 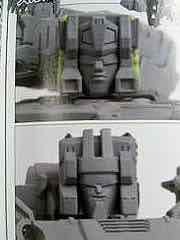 Via the TFW2005 forums: TakaraTomy Transformers Legends Hardhead & Skullcruncher Prototypes show off different faces. 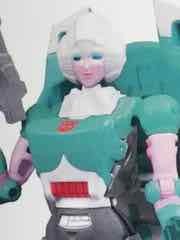 Both are a bit closer to the Japanese cartoon faces, with Skullcruncher's sneer and visor plus Hardhead's face (rather than faceplate). Pricing is unknown, but if you're living outside the USA or Japan you may have some tough choices to make as the prices are likely to be pretty similar for importers. Heck, I usually go all-in USA except for unique characters and this is pretty tempting. Check it out: Playskool! Marvel, Transformers, Star Wars, and some other stuff - even potatoes. 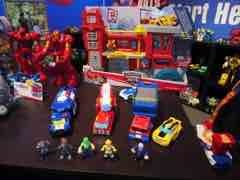 Rescue Bots is as compelling as always, so check 'em out. A classic. The Mattel Masters of the Universe Classics Lord Masque comes from the original cartoon series, making its toy debut here. So read on, and come back tomorrow for more! 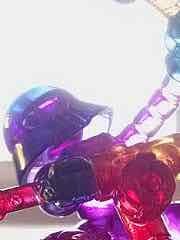 Via the Glyos News Dump: Glyos Onell Design February 23 2016 Drop Menu. The shop seems to have been shut down before long, so I'm not sure where the orders ended up - you might want to check to see what's still up for grabs. 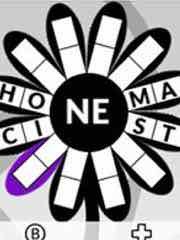 Check it out: IAmElemental! Courage and Wisdom are on deck, with the latter being the new series for the year. The majority of these figures are 3 3/4-inches tall, but the boxed one is 6 1/2-inches tall. 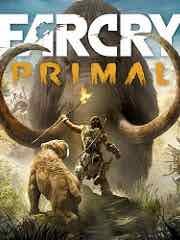 New to the Playstation 4 this week: Agatha Christie � The ABC Murders, Far Cry Primal, Hitman Go: Definitive Edition, Foul Play, Ninja Senki DX, Ninja Senki DX, Wondershot, Toki Tori 2+, Bit.Trip Presents� Runner2: Future Legend of Rhythm Alien , Replay: VHS Is Not Dead, and The Walking Dead: Michonne/r. New classic games this week: Arcade Archives Double Dragon II. 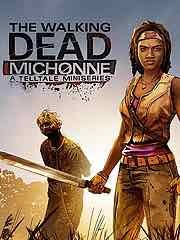 New to the Playstation 3 this week: The Walking Dead: Michonne. 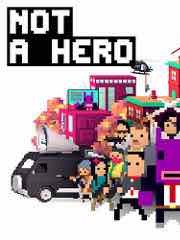 New to the PSP Vita this week: Foul Play, Hitman Go: Definitive Edition, Ninja Senki DX, SwapQuest, and Knock-Knock. Final Wars wasn't! 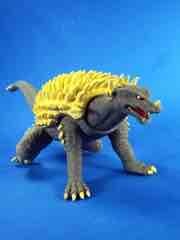 The BanDai Godzilla Anguirus 2004 Action Figure is a US release of a toy that's a little different - notably different - from its Japanese counterpart four years earlier. So read on, and come back tomorrow for more! Check it out: Diamond Select Toys - X-Files! The classic TV show returned - and just ended - so of course they're going to cash in on toys, hoping you missed the finale. There isn't much, but it's enough to be interesting. "The year is 1986. Cold War leaders Ronald Reagan and Mikhail Gorbachev have been kidnapped by militant extremists. Once rivals, now they must cooperate� or die. 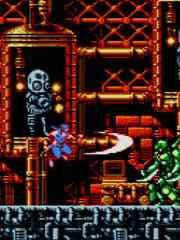 Armed only with their fists and samurai swords and poison darts and pistols and shotguns and fully automatic assault rifles and grenade launchers and miniguns and bazookas some other guns - sneak, slash or shoot your way through an army of mercenaries. Save the world from nuclear apocalypse. 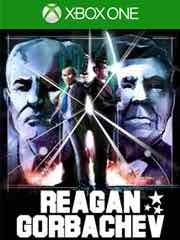 Reagan Gorbachev is a top-down action stealth game for one or two players (local co-op.)" Also available: Plants vs. Zombies Garden Warfare 2, The Walking Dead: Michonne - A Telltale Miniseries, Replay: VHS Is Not Dead, Agatha Christie - The ABC Murders, Evolve Ultimate Edition, Far Cry Primal, and The Flame In The Flood. Trust him! The Hasbro Transformers Generations Combiner Wars Swindle is on sale and maybe even findable now. So read on, and come back tomorrow for more! 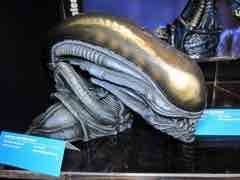 Check it out: Diamond Select Toys - Aliens! 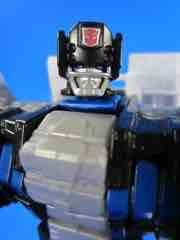 Check out bust banks and Minimates. 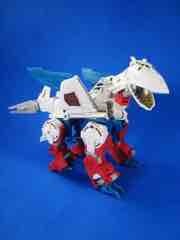 The Xenomorph bank and Minimates APC are best in breed here - be sure to take a look in our coverage today. This week's 3DS offerings: Mega Man Legacy Collection, Return to Popolocrois: A Story of Seasons Fairytale, Toy Defense, and Sadame. 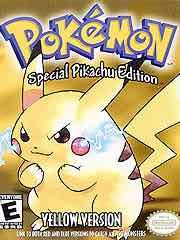 The 3DS retro library has the GameBoy games Pokemon Blue Version, Pokemon Red Version, and Pokemon Yellow Special Pikachu Edition from the GameBoy for $9.99. This week's batch of titles on the eShop: 6180 the moon, Volcanic Field 2, Smart Adventures � Mission Math, REPLAY : VHS is not dead, and Inside My Radio. 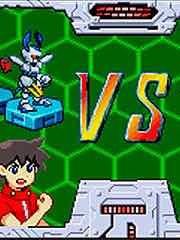 Up for the Nintendo Wii U retro library: Medabots AX: Metabee, and Medabots AX: Rokusho from the GameBoy Advance, each for $6.99. Get a peg and be wealthy! The Bif Bang Pow! Peg Pals Batman Armored is a Toy Fair premium which is now a de facto eBay exclusive (that is sold by the company I work with). So read on, and come back tomorrow for more! 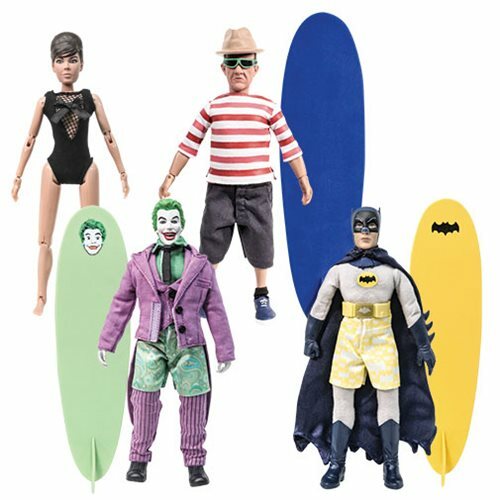 Today: Check out what stores get will get from Diamond Select Toys DC Comics. 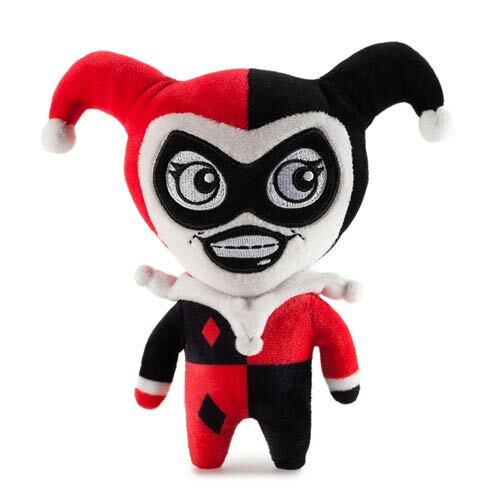 Batman, iZombie, and a bunch of other goodies - some of which you've seen before, but it's worth checking out these new banks, busts, action figures, and glassware anyway. Check your favorite web sites and comic shops for these throughout the year. And possibly next year. Licensor approvals and all, you know.